Eoin O’Connor lives and works in Aughrim county Wicklow. His highly sought after pieces are among leading business and private collections both at home and abroad. Eoin’s palette is dominated by strong powerful tones that are rich in contrast. 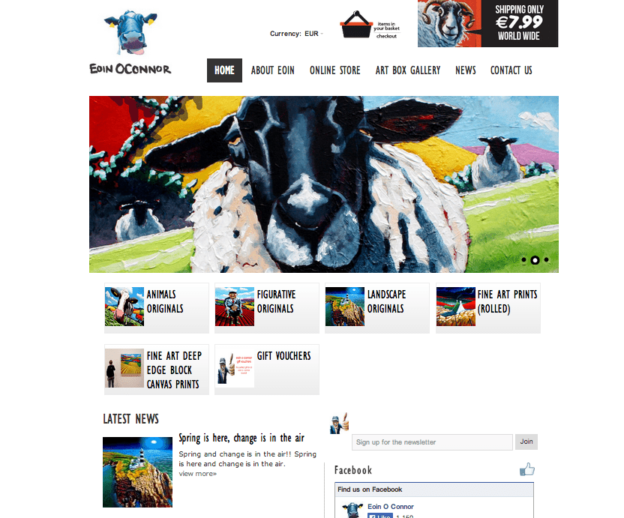 We worked with Eoin O’Connor on his new website, built on Magento to help him track and manage his online sales. Eoin was familiar with Magento as he had used it on his original eCommerce website, so we designed and developed a new website on Magento to showcase and sell his artwork.